SIHH 2019: What did we learn about the mechanical watch industry? Mainly, that Swiss horology is an industry in optimistic spirits. 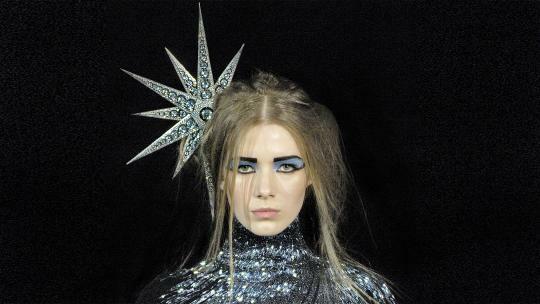 Having spent the previous three years strengthening the base of their product pyramid with bread-and-butter collections in the face of economic turmoil, brands were buoyant, experimenting with colour, material and complications. 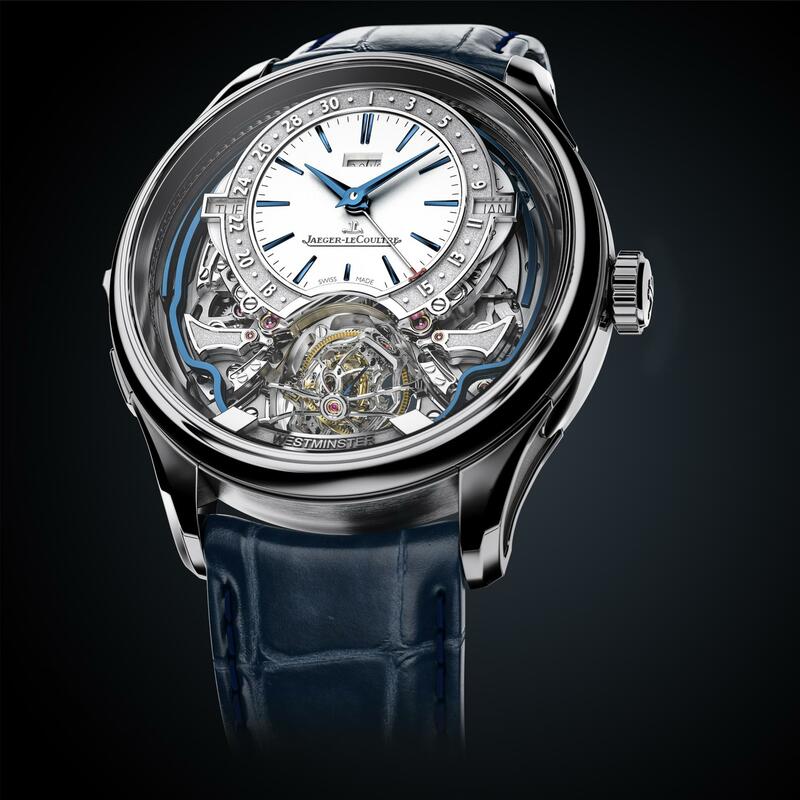 Prices were once again soaring, perpetual calendars and flying tourbillons were everywhere, and both Audemars Piguet and Montblanc felt ballsy enough to launch brand new collections. Unbeknown to anyone outside of Audemars Piguet’s Le Brassus-based HQ, the brand of the Royal Oak has spent the previous six years developing an all-new collection of cutting-edge dress watches. The bizarrely-named result is the Code 11.59 – so-called to evoke the excitement of an impending day. The multifaceted, 13-reference, six-model family incorporates three new calibres, spanning from a simple time-and-date automatic to a minute repeater supersonnerie. All references feature an octagonal middle-case embedded within an outer 41mm round case, open-worked lugs, double-curved sapphire crystal and a logo 3D-printed in layers of gold. 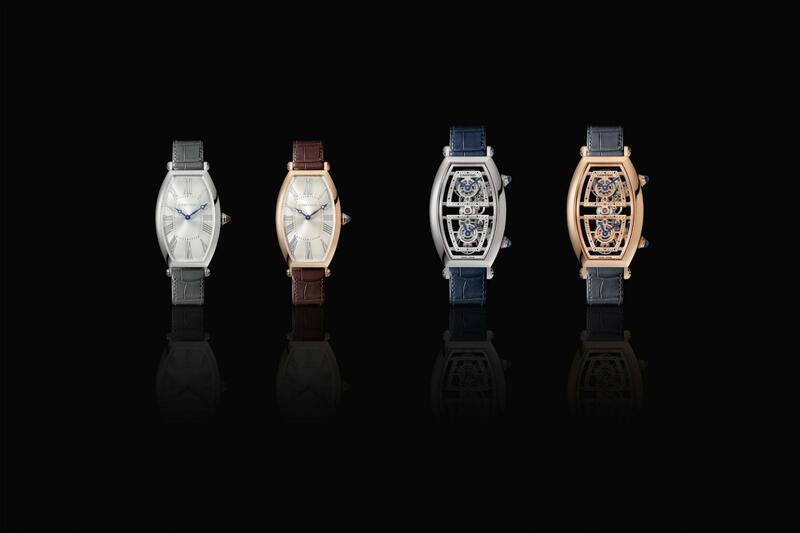 All are available exclusively in either rose- or white-gold. The Royal Oak of 1972, Audemars Piguet’s halo product, was famously conceived in one night by one man – Gérald Genta, the icon-creator that went on to design IWC’s Ingenieur and the Patek Philippe Nautilus. Common consensus in Geneva was that the Code 11.59 has all the hallmarks of being designed by committee. For some far more brutal critiques, see the comments currently building up under the brand’s Instagram posts. 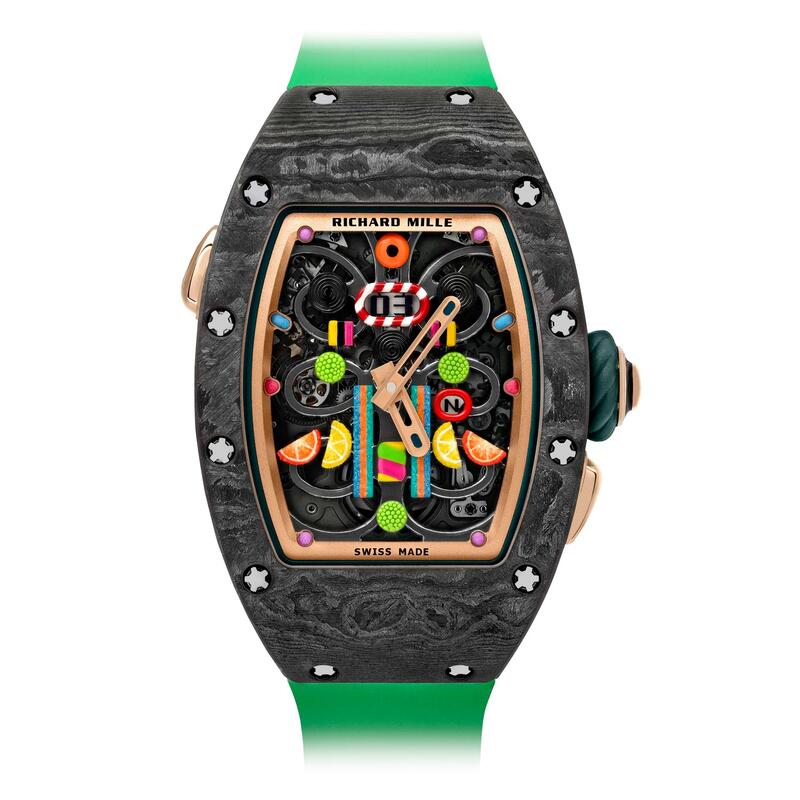 Neither Audemars Piguet nor Richard Mille will be showing at SIHH 2020, both brands citing new mono-brand-boutique approaches to business as to why they no longer need to schmooze retailors at the Geneva get-together. The iconoclastic French watchmaker bowed out of SIHH in candy-coated style, courtesy of the sweet-inspired Bonbon collection. Ten time-only models display a total of 60 effervescent colourways across six carbon-based cases, including one in a new turquoise hue. 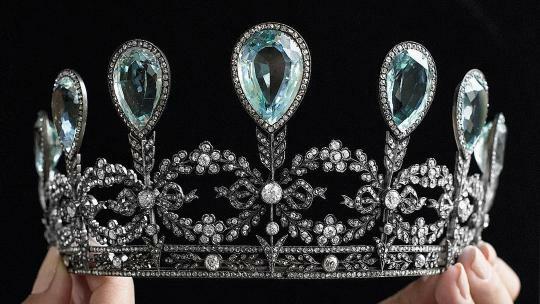 Cupcake-informed crowns and sugar coatings of powdered enamel provided a feast for the eyes. 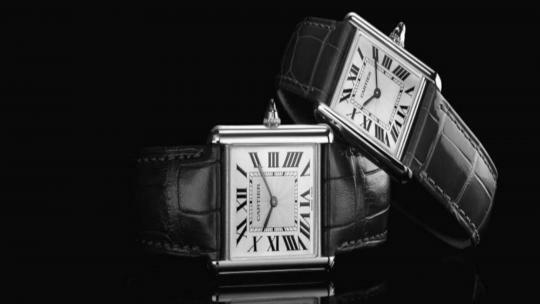 Another year another attention-grabbing geometric dress watch from Cartier. Having created the cushion-shaped Drive in 2016 and relaunched the square-faced Santos 12 months ago, it was the turn of the barrel-cased Tonneau to receive some TLC. The original Tonneau arrived in 1906 just two years after the inaugural Santos, and was credited as being the world’s first purpose-built men’s wristwatch. To commemorate the watch’s centenary, Cartier relaunched the Tonneau in 2006 and this year bolsters the line with two time-only, hand-wound pieces in pink-gold and platinum. 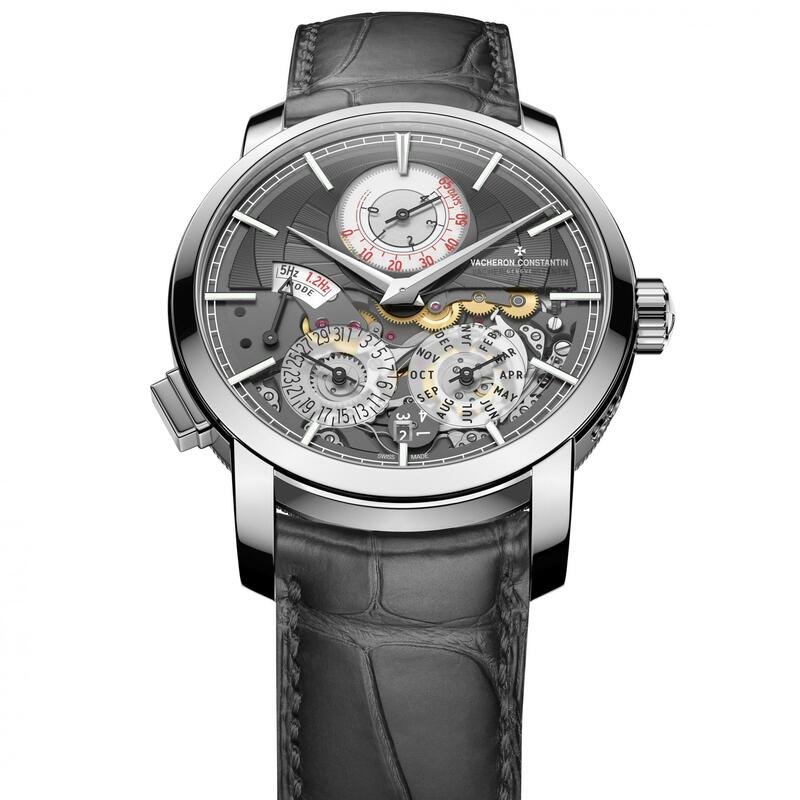 For those with slightly deeper pockets, there’s also the limited-edition Skeleton Dual Time Zone, which houses a new integrated movement that allows two sets of hands to be controlled by the same cabochon-fitted crown. In a bucolic booth complete with a waterfall and living walls, Montblanc attempted to channel the spirit of the great outdoors with help from ambassadors David Gandy, Brazilian supermodel Isabeli Fontana and a high-spirited Hugh Jackman who took it upon himself to distribute the champagne. 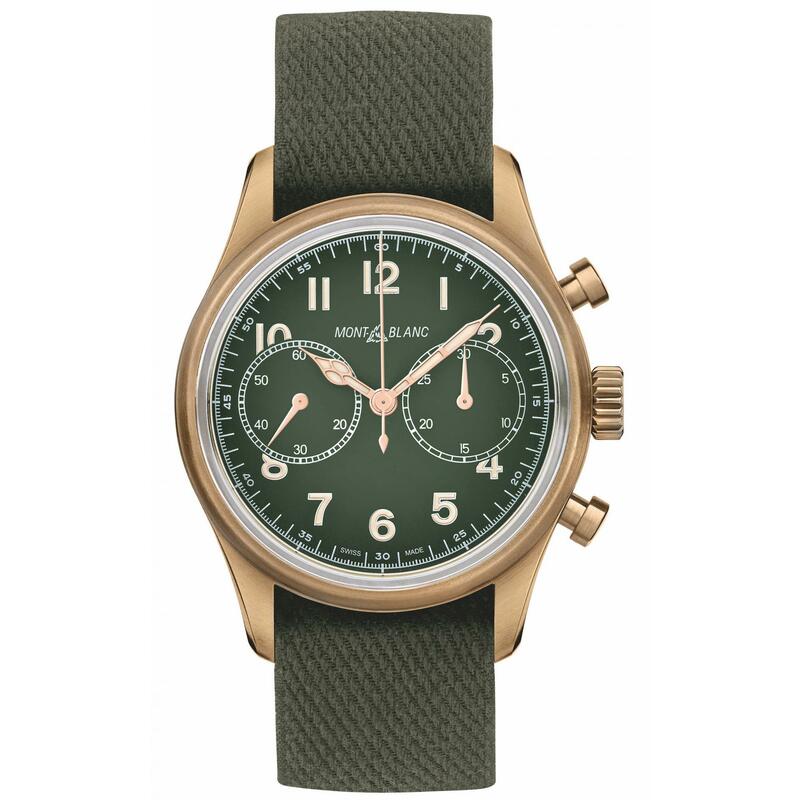 The pastoral setting assisted the launch three new khaki-green watches dedicated to mountain exploration. Sandwiched between the time-only 1858 Automatic and the world-time 1858 Geosphere, the retro-worked 1858 Chronograph packed plenty of vintage appeal. All come with bronze cases, a case-back engraved with the Mont Blanc mountain and a dial branded with the original Montblanc logo from the 1930s. SIHH has always been an opportunity for the industry’s grandest names to show off via six-figure super-complications that have spent years in R&D. SIHH 2019 was no different. Jaeger-LeCoultre’s tourbillon-equipped Master Grande Tradition Gyrotourbillon Westminster Perpétuel marries a minute repeater with a perpetual calendar, meaning that the skeletonised timepiece will chime the minutes of the day while automatically displaying the correct day, date, month and year without the need for manual adjustment between months of different lengths. In order to achieve a crystal-clear Westminster chime, the melody struck by London’s Big Ben clock, the Master Grande Tradition Gyrotourbillon incorporates a silence-reduction function built into its chiming mechanism. At first Hermès’ Arceau 78 might look like a lesson in simplicity. Take a closer look, however, and you begin to realise the exacting attention to detail that’s gone into making the elegant dress watches. 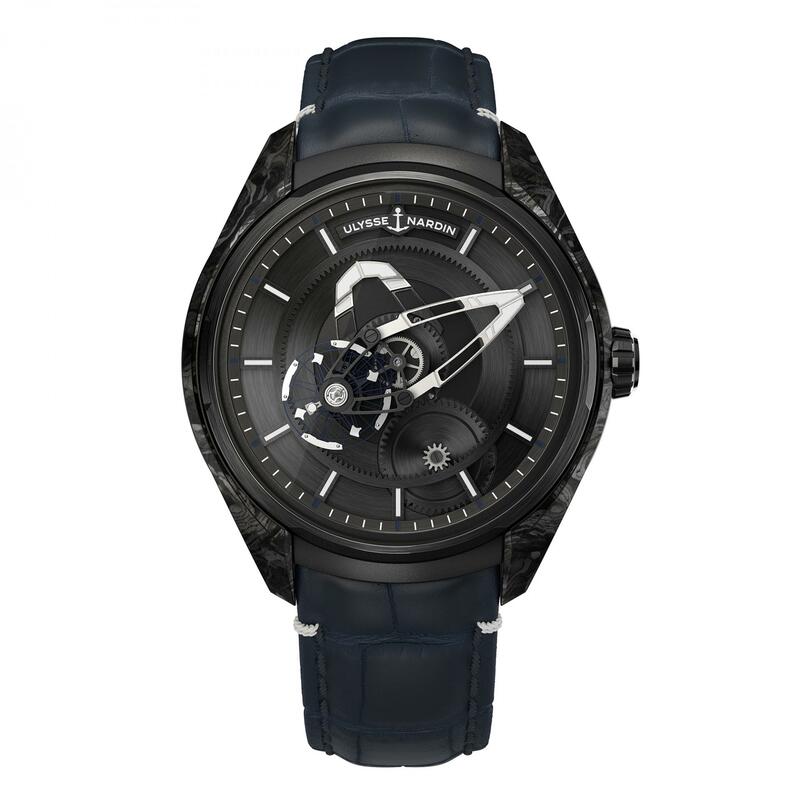 Take, for example, the anthracite dial – sandblasted to create a three-dimensional granular effect. 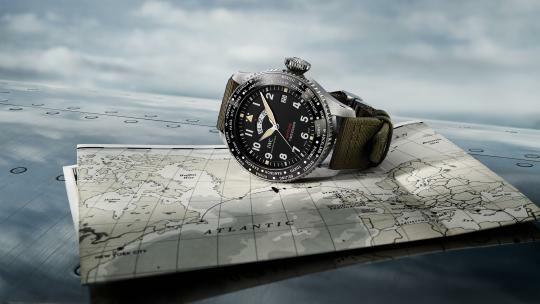 Then there’s the mirror-polished stainless-steel case that’s been topped by a contrasting bead-blasted matt-brushed bezel. 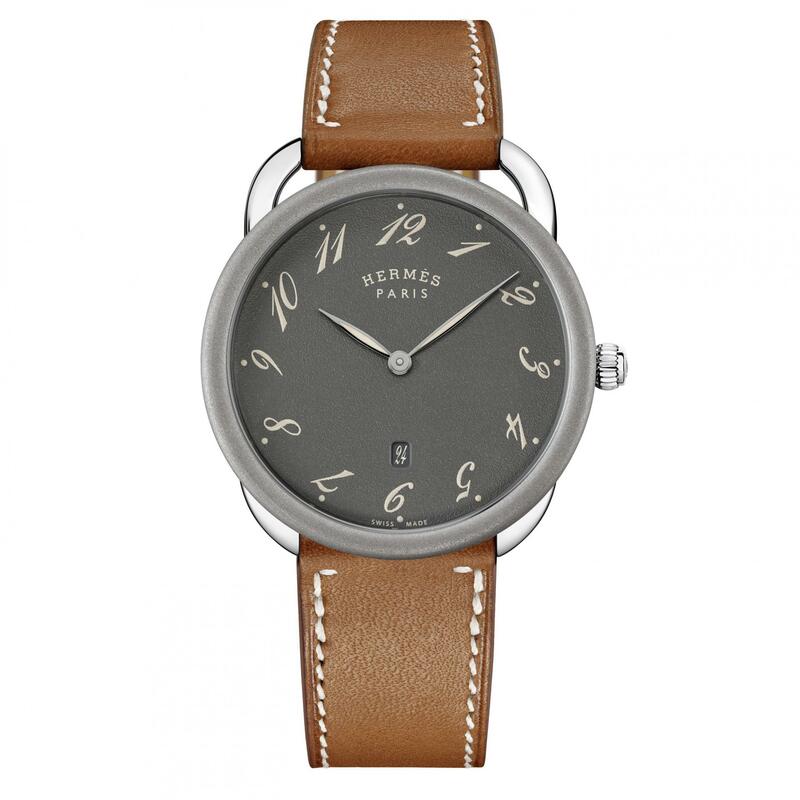 Add slender Arabic numerals printed in cream Super-Luminova – italicised to mimic the gallop of a horse – and a date wheel at 6 o’clock in the same slate-grey as the rest of the dial – a design detail that’s often overlooked by ‘grander’ brands – and you begin to see how Hermès’ latest wristwatch is anything but ‘simple’. The watch is launched to commemorate the 40th anniversary of the original Arceau, the first timepiece conceived by Hermès’ legendary artistic director Henri d’Origny – the man behind those signature silk ties. This ‘Very Large Model’ retains d’Origny’s equestrian-inspired asymmetrical lugs but has been enlarged to 40mm. 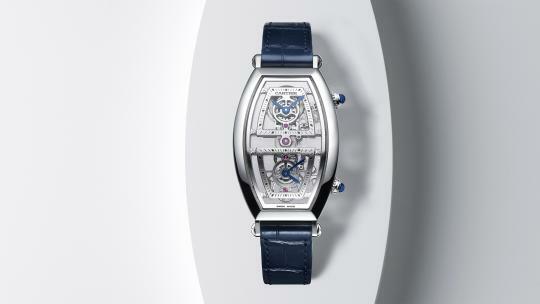 It is powered by a Swiss-made quartz movement. 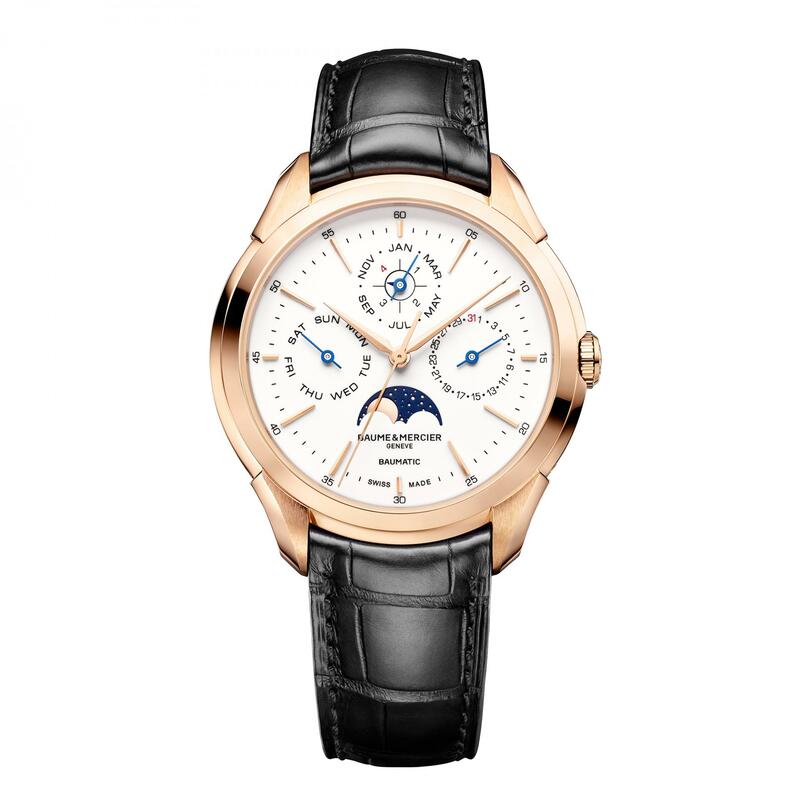 Vacheron Constantin, makers of the world’s most complicated mechanical timepiece, debuted a unique twist on what turned out to be the most en vogue complication of SIHH 2019 – the perpetual calendar. The dual-frequency Traditionnelle Twin Beat incorporates a patent-pending in-house calibre that allows wearers to switch between a high-frequency (5Hz) active mode and a low-frequency (1.2Hz) standby mode. 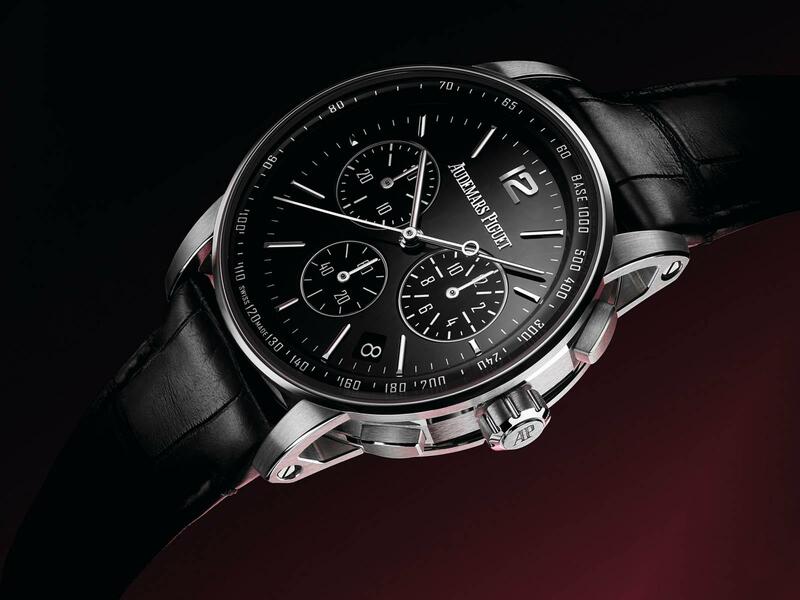 Converting to the latter extends the watch’s power reserve to 65 days. Confine the piece to your watch roll and it will continue to tell the correct time for more than two months. Last year, Baume & Mercier moved away from its reliance on third-party calibres by co-manufacturing a proprietary movement with the research and innovation division of parent company Richemnont. The brand upgrades the calibre for 2019, improving its accuracy, extending its power reserve and placing it within six new Clifton Baumatic watches. The range-topping perpetual calendar, complete with silicon hairspring, represents Baume & Mercier’s most complicated model to date. Marrying a red-gold case, ‘warm white’ dial and navy-and-gold moon-phase at six o’clock, the timepiece continues a company tradition of serving up supremely handsome timepieces at industry-busting prices. On the first night of SIHH, Piaget hosted a gala dinner at its watchmaking HQ on the outskirts of Geneva. Attendees, including ambassadors Michael B. Jordan, Olivia Palermo and Hu Ge, were treated to a performance from renowned ballet company Rudra-Béjart. Back at its beach-themed booth, the brand unveiled three new Altiplano models. 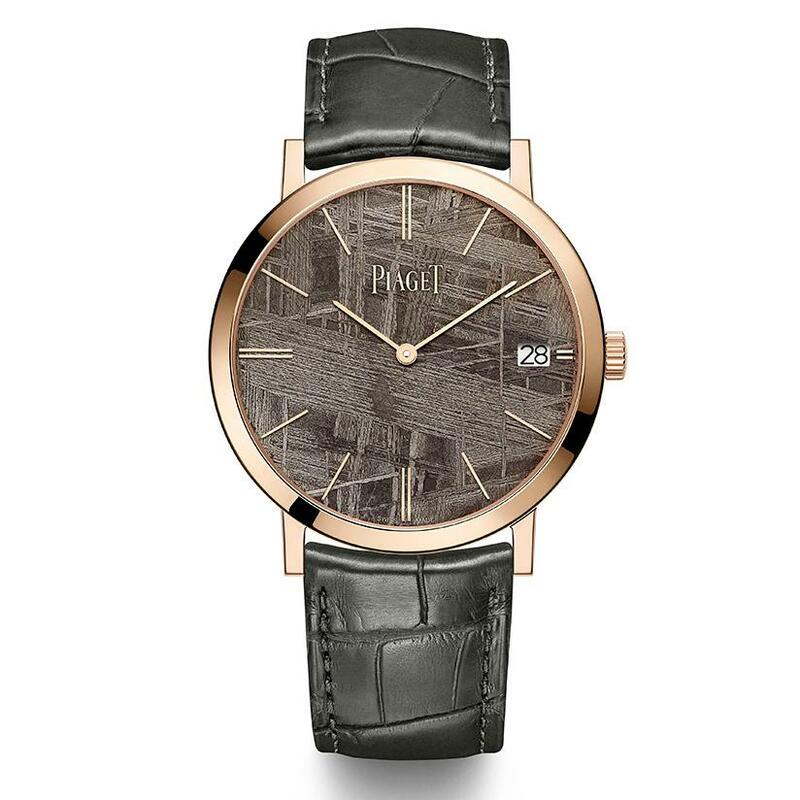 With a dial made of meteorite, the rose-gold variant was quite literally out of this world. Just as diamonds are crystallised records of conditions deep within the earth, Piaget explained, meteorites are crystallised records of the birth of galaxies. The use of the crystallised nickel-iron structure is indicative of a wider industry trend towards ever-more maverick materials. Adopted by the tech industry for use in microprocessors in the seventies, silicon helped catalyse the tech revolution of the late 20th century. One of the first companies to recognise that the material’s anti-magnetic, corrosion-resistant qualities might also prove handy in watchmaking was Ulysee Nardin. In 2001, the Swiss brand launched the no-handed, crown-less Freak – the first watch to house an escapement executed in silicon. This year, we get the Freak X, a slimmed-down (from 45mm to 43mm) entry-level piece priced to provide a gateway to the silicon-centred collection. Like its predecessor, The Freak X displays the time via a rotating movement – a central bridge acts as a minute hand; a wheel indicates the hours – but corrections in this latest iteration are made through a newly-installed crown. Swiss Alp Watch Concept Black, H. Moser & Cie.
‘Look mum – no hands!’ Or dial or indices or any other discernible way of actually telling the time. 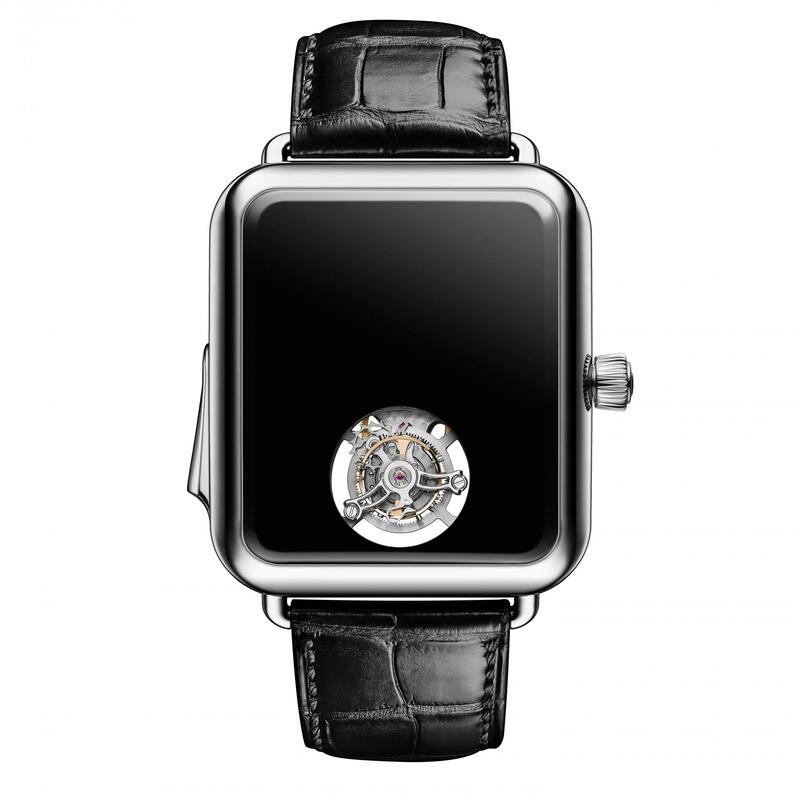 At first, H. Moser & Cie’s irreverent answer to the smart watch, designed to look like the Apple wearable on standby, might appear to fly in the face of traditional watchmaking. In fact, the glossy black timepiece relies on two of the oldest and grandest complications in horology – a flying tourbillon to improve precision and a minute repeater to sound the time at the touch of the button. The boutique brand’s characteristically cheeky swipe at the connected watch from Cupertino is already paying off – the one-off piece is already sold with orders for more apparently coming in thick and fast.